The evergreen Monksland pulled out all the stops to get back to winning ways in the He'llberemembered Hurdle at Thurles yesterday. 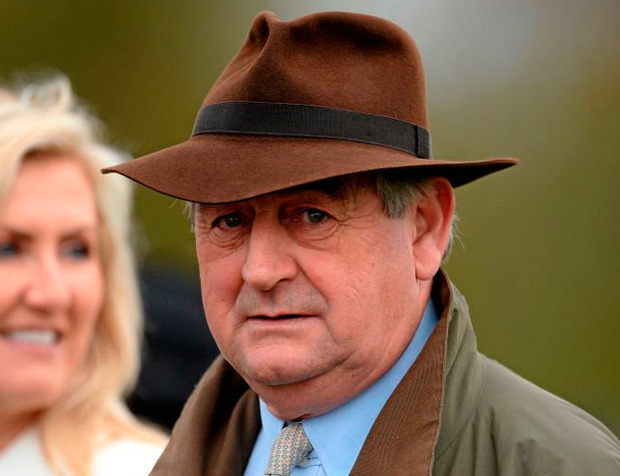 Noel Meade's redoubtable stayer was sent off the 8/11 favourite after finishing third in a charity race at Punchestown last week but Sean Flanagan had to get to work after the fourth-last, with Polar Present going great guns out in front. "It was hard work and Sean said he never travelled at all and the ground was a bit quick for him," said Meade. "He has had plenty problems over the years and when the ground is any way good, he was knocking the top off it and needs soft ground to be at his best. "He is a 10-year-old now and has been around a while, and that is part of it too, but today was the plan. His pedigree is all stamina and he does stay three miles. I don't know where he is going to go and you couldn't say he is the horse he once was, but we'll peg along and run him wherever he has a chance. Monksland completed a double for Flanagan who had earlier steered La Bella Vida to victory in the beginners' chase for Liz Doyle. The 11/4 second favourite was sent to the front before the home straight and kept on well to see off 6/5 market leader Magic Of Light by just over a length. This win initiated a 27/1 double for Doyle whose Gran Geste claimed the closing bumper in the hands of Finny Maguire. The French-bred landed a bit of a touch as he was available at 16/1 earlier in the day and eventually went off at just 13/2. Jessica Harrington's Boot Camp appeared to have settled the issue when asserting over a furlong out, but Gran Geste overcame greenness to stay on well under Maguire to get up and prevail by three-parts of a length. Cheltenham opens its doors for the first time this season and connections of Sceau Royal will be hoping to be back here at the Festival in March. Alan King's five-year-old finished sixth in last season's Champion Hurdle and on the evidence of a his solid chasing debut at Warwick, he should make it two wins on the trot in the two-mile novice chase. Gordon Elliott has five runners on the card, with Fagan looking the best of his hopes in the three-mile novice chase.